Bergen County Litigation Attorneys with prime Hackensack location next to the Bergen County Justice Center. The attorneys at LoFaro & Reiser handle civil and criminal matters in the Superior Court of New Jersey in Bergen County. 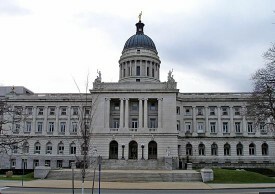 We also represent clients in traffic and criminal matters in municipal courts throughout Bergen County. Our lawyers have over 40 years of collective experience. Our expertise extends to bankruptcy, breach of contract, complex civil litigation involving business disputes, Chancery Court litigation involving partnership disputes and shareholder disputes, and Chancery Court litigation involving applications for emergent or injunctive relief. In addition, our law firm handles asset recovery/equipment repo, construction litigation, criminal law, drunk driving/DWI, debt collection, expungement, foreclosure, fraudulent transfer litigation, Internet law, landlord-tenant, probate litigation involving contested wills & trusts, restrictive covenant litigation, traffic tickets & motor vehicle violations, and real estate litigation. Our practice also includes emergent sheriff sale issues, vacating tax foreclosure judgments, foreclosure defense, appellate practice, and professional ethics.